Please keep your seats upright and shades up! "Please keep your seats upright and shades up!" Unless you are a stowaway in plane cargo, this is a broadcast which we never fail to hear during air flights. Be it in the beginning or towards the end of the flight, these mood spoilers always seem to be announced just when we are getting comfortable for a long flight, or happily in dreamland. Even so, most often than not, majority of the passengers would just grudgingly bring up their seats and check the shades are up, without second thoughts. Maybe we have become used to such announcements, maybe we have become resigned to our fates and treat these minor annoyances as part of the flight experience. That said, have you ever stopped and wondered, are the crew members really out to annoy us? An interesting read from Yahoo! news goes on to explain the rationale for keeping seats upright. The gist being that emergency situations usually happen at the start or towards the end of flights. Hence, keeping seats upright will help to reduce traffic block and speed up evacuation during emergencies. There would also be less potential injuries to contend with during a rough take off or landing, for both the sitting passenger and the passenger behind. As described in an Independent article, the simple explanation is to keep the internal and external situations visible to the crew, passengers and any rescue parties. It also helps the crew to assess which exit is the best during emergency evacuations. Since crew members only have 90 seconds to finish evacuation, you definitely would not want to mess up for the crew as a passenger. However, it can get difficult for the crew if there are uncooperative passengers. Indeed, stories abound of unruly passengers that not only do not follow crew instructions but verbally abuse or even assault crew members. So much so that there is a term for such behavior, "Air Rage" which is reportedly on the rise. 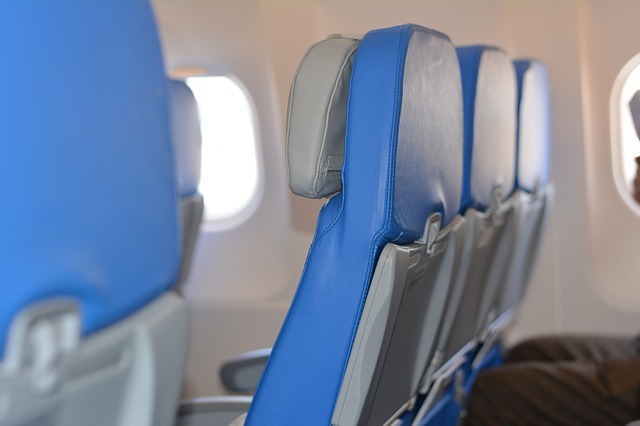 Interestingly, a study on air rage showed that incidents are four times more likely to occur if the plane has premium seating than just a single economy class. Other common frustrations for cabin crew include being ignored when asking passengers not to go to the washroom during take off, landing or when the plane is experience turbulence; not to open overhead compartment before the plane has fully stopped. Ensuring passenger safety is part of their job, even though it is not uncommon to at least see some passengers that require repeated reminders from the crew before they will stop whatever they ared doing. Now that it is obvious the cabin staff are just doing their job, next time when we are on board a plane, let's show our appreciation and help make their work easier by following their instructions. Thanks for leaving a message. I will try to reply as soon as I can.